She has been writing all her life across many mediums and for many purposes. Maryann has written for newspapers including feature, news and legal stories, and for government, niche magazines, websites and social media campaigns. She has developed, led and implemented countless communications strategies for corporate and government clients, including for major national events. She has several NSW Country Press Awards, including the 2001-2002 award for Editorial Writing. She has successfully edited newspapers and magazines and online publications, always with the belief that the story matters. Her passion is writing creative fiction and, more recently, writing in the horror genre. In 2014, she published Evil Imminent, her first collection of horror and paranormal short stories, and in 2015 her short horror story Dark Star was chosen for the horror anthology Happy Little Horrors – Alienated. 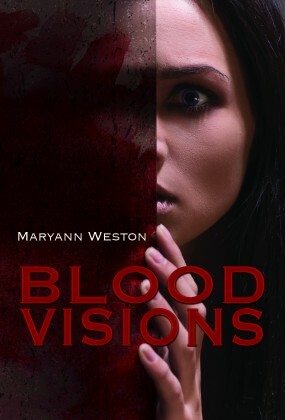 Maryann has also just finished her first horror novel, Blood Visions. She is currently in planning for her second horror thriller, and is writing a creative non-fiction manuscript which was selected for the Hardcopy 2015 program which mentors authors and their manuscripts through to completion and potential publication. She has established author social media platforms where you can connect with her. You can follow her on her blog, Facebook, and Twitter @MaryannWeston. You can also visit her website. As well as her creative writing projects, Maryann is currently a freelance communications professional and writes for newspapers, government campaigns, and Indigenous media.